God’s commands are like the morning dew. We run around hurrying to take care of business, then get upset because our shoes are wet. It is only when we bow down that we notice the beauty God has blessed us with. 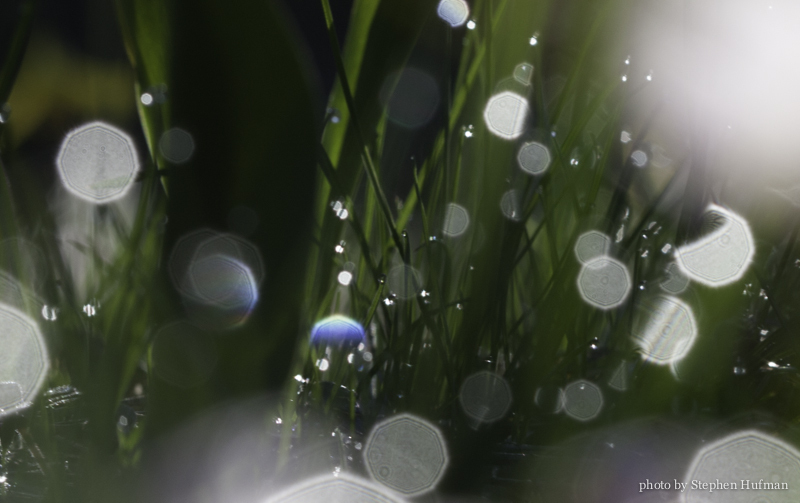 This entry was posted in Photography and tagged dew, jewels, nature photography, Psalm 19:8-10 by Stephen Hufman. Bookmark the permalink. This is so beautiful and true. I love how you use dew on the shoes to draw us closer to God’s blessing and the need to slow down and bow down.